Scientific and medical advances in recent times have seen an increase in the life expectancy of humankind. However, what happens when our minds deteriorate faster than our bodies? This is a real challenge in modern society and is only set to become a more prevalent issue. According to data from Alzheimer’s Disease International 10/66 Dementia Research Group, in 2015, there were an estimated 45,000 people in Singapore with dementia. By 2030, this number is projected to more than double to 103,000. Although most of us may think that dementia is a condition affecting only the elderly, there is a rising trend of younger patients being diagnosed with dementia in recent years. In 2016, the National Neuroscience Institute’s Neuroscience Clinic saw 179 patients aged 65 and below for young-onset dementia, which is a staggering almost five-fold increase in five years from the number of such patients in 2011. One’s mental capacity could also be unfortunately lost or diminished through a sudden stroke or unexpected accident. What can you do to protect yourself and your loved ones from unnecessary pain and anguish if either you or someone in your family loses mental capacity? Read on to find out more. The Mental Capacity Act (the “Act”) is the law governing matters concerning an individual’s mental capacity. Under the Act, individuals may voluntarily make a Lasting Power of Attorney (“LPA”) while they currently have the mental capacity to appoint one or more persons (“donee(s)”) to make decisions and act on their behalf if they should ever lack mental capacity in the future. What about persons who already lack mental capacity, perhaps due to dementia, Alzheimer’s disease, or being in a coma? The Act also gives the Court the power to appoint a deputy or deputies to make decisions and act on behalf of a person who lacks mental capacity where the person has not made an LPA. The Act is probably especially meaningful to a special group – parents of children with severe intellectual disabilities. While the parents are able to naturally make decisions and act on behalf of their children with severe intellectual disabilities when their children are still minors, things may not be so simple or straightforward when their children reach the age of majority and become legally recognised as adults. Under the Act, parents may apply to be appointed as the deputies of their children with severe intellectual disabilities, even when their children are not yet 21 years old, so as to avoid any problems with the parents making decisions and acting for their children once they turn 21. The parents may also apply to the Court to appoint a “successor deputy (or deputies)” to ensure that their children’s future care would always be taken care of if the parents pass away or lose mental capacity themselves. The Act further sets out the scope of the duties and powers of donees and deputies. Unfortunately, not everyone has family members or close friends whom they can trust and rely on to be their appointed donee(s) or even Court-appointed deputy/deputies. To address this issue, amendments to the Act have introduced the option of appointing “professional donees” or “professional deputies”. These professional donees/deputies are not related to the person lacking mental capacity (“P”), but meet certain criteria and are registered with the Public Guardian or are in prescribed classes of persons such as licensed trust companies. In addition, the amendments to the Act offer better protection for P. By the amendments, the Court has the power to suspend a donee’s or deputy’s powers on an application for the same, when the donee/deputy has been charged (but not yet convicted) with an offence involving fraud or dishonesty, if there is a real risk that the donee/deputy will dissipate P’s assets. This affords pre-emptive protection to P and his/her assets, as the Court’s power to suspend a donee’s or deputy’s powers, even without an application to revoke the said powers, would protect P in the interim until a Court order is made. Furthermore, the Public Guardian may cancel the registration of a Lasting Power of Attorney and apply to Court to revoke the appointment of a donee if P is at risk. Make an LPA as early as possible while you still have the certainty of mental capacity to make your own decisions. You should appoint one or more person(s) whom you can trust as your donee(s) so that your interests would be protected if you were ever to lose your mental capacity someday. You can appoint your donee(s) to make decisions and act for you in either or both of two areas: personal welfare and/or property and affairs matters. Personal welfare matters include decisions regarding your place of residence, your standard of living and how you would be cared for. Property and affairs matters encompass the management of your bank accounts, finances, property and assets for your best interests. If you wish to appoint more than one donee, you may direct that each of them be involved in either of the two areas according to their expertise/relationship with you. Alternatively, you may also choose to give powers over both areas to all your donees. In which case, you will have to specify whether your donees have to make decisions jointly, or they can do so jointly and severally. As your LPA is an important personal instrument, you may customise and tailor-make it according to your needs and your specific circumstances. Please make an appointment with a lawyer experienced in preparing LPAs to discuss and effect your wishes for your LPA. If, having read all the above information, you still need an incentive to make an LPA now, how about this: the application fee for LPA Form 1 for Singaporeans (currently $75) is waived until 31 August 2018. All applicants will still be required to pay professional fees of LPA certificate issuers engaged to witness and certify the LPA application. Although LPA certificate issuers include accredited medical practitioners, lawyers and psychiatrists, please note that if you wish to customise your LPA, a certain part of the relevant LPA Form has to be drafted by a lawyer. An LPA will come into effect only after it has been established that the donor has lost his/her mental capacity. If one should, fortunately, recovers his/her mental capacity after some period of losing the same, he/she will be able to regain autonomy in decision-making and acting for him/herself. Should someone lose his/her mental capacity without making a valid LPA previously, an application has to be made to the Court for a proxy decision maker(s) known as a “deputy” to be appointed to make specific decisions on his/her behalf. The unnecessary additional stress and frustrations that would be imposed on P’s family and loved ones in such a situation are unimaginable. Not only would P’s family and loved ones have to grapple with the severe adverse impacts on an everyday basis of P losing his/her mental capacity, they would also at the same time have to squeeze out time, effort and money to apply to Court for a Court Order appointing a deputy/deputies to act for P.
Making such a Court application would involve multiple trips to the lawyers’ office, hospital and/or nursing home, collecting evidence and documents, and perhaps even attending Court hearings – this would be the last thing anyone would want to deal with when a family member or loved one has unfortunately lost mental capacity. The financial costs of such a Court application, including the fees for the medical assessment and report, would usually easily come up to a few thousand dollars (compared with a few hundred dollars to make an LPA). To make matters worse, it is often the case that P’s moneys cannot be accessed by his/her family members or loved ones for P’s own medical treatment/living expenses until a Court Order is obtained. In the meantime, paying for P’s medical, healthcare and living expenses as well as the costs of a Court application out of their own pockets would put a heavy burden on P’s family or loved ones. Life is uncertain; one thing you can be certain of, however, is that you will be in a difficult position if you have not made a valid LPA before there is any doubt about your mental capacity. Therefore, you should make your LPA as early as possible without any delay. This also avoids a situation in which someone with ulterior motives exercises undue influence on you when you are weak-willed in order to get you to make a LPA in their favour. I am sure we all know how that turned out. Need legal advice for wills, probates and trust? If you need legal advice for wills, probates and trust, you can request a quote with Lie Chin-chin. Alternatively, you can get a Quick Consult where you can check out in minutes and for a transparent, flat fee, the lawyers will call you back on the phone within 1-2 days to answer your questions and give you legal advice. This article is written by Lie Chin-chin from Characterist LLC and edited by Tang Chee Seng of Asia Law Network. Chin Chin has represented corporations and people from all walks of life. She has fought and defended causes at all levels of the Singapore Courts. Her diligence in fact analysis positively assisted the Court of Appeal and earned her recognition by the former Chief Justice Yong Pung How. 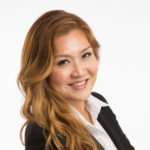 In over two decades of practice, Chin Chin has led teams of lawyers on commercial projects involving complex loan transactions, sale and purchase of businesses and joint venture formation. Chin Chin’s dedication to resolving challenges and taking businesses and lives to the next level has positively impacted individuals, their businesses and their families. With a combination of business acumen and legal experience, she is quick to understand her clients’ businesses and has helped SME business owners benefit from creative legal solutions.